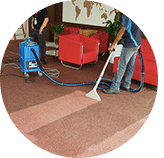 Our company main service over the years is to offer home carpet cleaning services and solution at locations in Kuala Lumpur and Selangor, Malaysia. Is your home’s carpet dirty and now requires extensive cleaning? 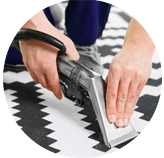 You either can clean it yourself using the open tools in your home, rent carpet cleaning equipment in a store or send your carpet to a professional cleaning service. Among the three decisions, the essential decision is the cheapest, takes a longer time and the least effective. The latter option may obtain, to a certain extent, higher costs, since, as such, the results are more than impressive. 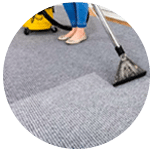 Our pro carpet cleaning service team are extraordinary in what they do, offering quality services including the extraction of allergens from your carpet and make it look like new in no time. These are some of the advantages you get when you hire professionals to clean your carpets. The vacuum cleaner in your home may be the most elite, although it appeared differently in relation to an industrial vacuum, it will be nothing. The same goes for all your cleaning solutions. Professional cleaning services use incredibly powerful equipment that is more effective in carpet cleaning. Their machines extract particles of earth that are in the fibers and remove the annoying spots with grace. The result is an absolutely impeccable carpet. 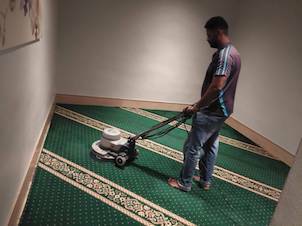 If you clean the carpet on your own, you need to remove all the furniture and after that, complete the session. This can exhaust you and your family members during the process. 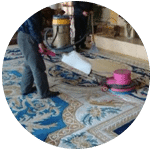 When you hire a carpet cleaning service, the workers will be responsible to work and move and handle the furniture themselves at your room or residential house. 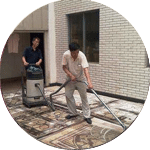 Depending on the chosen service, they will clean the carpet of your home or take it to their business location for cleaning. In the latter case, a professional company similarly recognizes the responsibility of uninstalling and reinstalling the carpet. Whichever elective class you choose, there is nothing left to do. A private vacuum simply removes dust from the surface and the most important particles remain on the carpet. In case they are not eliminated, the indoor air quality of your home is reduced. Professional cleaning services use industrial inspection equipment that adequately exhausts all contaminants. In the same way, more advantageous interior air quality levels can be maintained. DIY carpet cleaning incorporates such colossal amounts of things that take up a lot of your important time. You have to move your furniture off the carpet, clean the carpet using water and other products, remove dirt that may have been brought in by pets, treat the stains, vacuum, brush and completely more; Frankly, the system is long. You can eliminate this by using our carpet cleaning, treatment and restoration services. 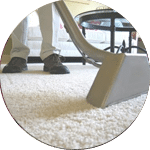 No matter how extraordinary DIY errands are, the best professional rugs and carpet cleaners will do a better job constantly than you do for several reasons: quality cleaning solutions powered by equipment, special care cleaning service and a trained team. Learning their resources drives them to achieve better results than when they are in continuous memory. Each carpet requires a certain cleaning technique depending on the material used. A couple of carpets require steam cleaning, while others are treated with cleaning methods. Choosing the wrong strategy will damage the carpet. Professional cleaners maintain a vital separation from this as they have the required data. Search no longer and let us help you. Please contact us today via a call or send us a message for a FREE quote or more information regarding our top home carpet cleaning services right now! 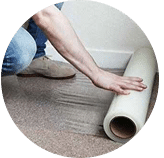 Our customer service team will reply to your request within a few working hours to find out more and discuss further about the home carpet cleaning service that you require. Subsequently, we will issue you a quotation and an invoice for the home carpet cleaning service. 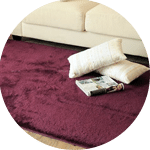 Our home carpet cleaning service is available in Peninsula Malaysia from Kuala Lumpur, Selangor, Ipoh, Johor, Malacca and Penang. Speak to our team to enquire more about the home carpet cleaning service that we provide in your area. I have a special request for my home carpet cleaning service, can this be done? 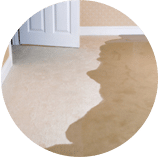 We understand that sometimes our customer have special requests for home carpet cleaning service with regards to timing and other matters such as stain removal. In this scenario, you can contact our customer representative team at 017-232-6491 to discuss your home carpet cleaning request.